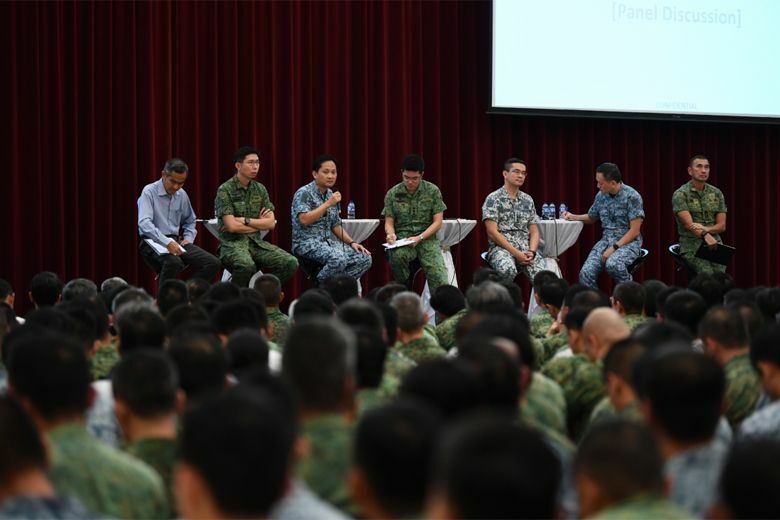 Following actor Aloysius Pang's death due to injuries suffered while on a military exercise, the Singapore Armed Forces has lowered its training tempo across all services to better focus on safety. SINGAPORE - An Inspector-General's Office will be set up with the full authority to scrutinise and enforce safety processes and practices at all levels of the Singapore Armed Forces, said the Ministry of Defence (Mindef) on Thursday (Jan 31). The office will support the Chief of Defence Force to ensure that commanders' emphasis on safety will be consistently applied across all services and units, added Mindef. Other measures announced by the ministry include increasing the number of safety inspection teams and full-time safety officers to do checks and audits on units' safety systems, as the SAF reduces the duration, intensity and frequency of existing training for the next few months. The new moves were announced after a meeting Chief of Defence Force Melvyn Ong held with 750 active and operationally ready national servicemen (NSmen) commanders at Pasir Laba Camp on Thursday. Training safety in the SAF has attracted increased attention in recent weeks after Singapore actor and Corporal First Class (NS) Aloysius Pang died on Jan 23, four days after he was seriously injured in an overseas military exercise. His death is the fifth one reported since September 2017, before which the SAF had four years of zero training- and operations-related fatalities. In a statement following the meeting, Lieutenant-General Ong said: "Safety is a command responsibility. Commanders answer for the training and safety of their men. To do so, commanders have to be fully committed and be personally and intimately involved in their units' training, operations and safety. "The reduction in training tempo will allow us commanders to take stock, re-orientate, and give full attention to this," he added. The current armywide safety timeout will be progressively lifted after Feb 7, and all army units will then resume their training, including physical fitness training, small arms live-firing, Individual Physical Proficiency Test (IPPT) and IPPT Preparatory Training for NSmen. Thursday's meeting involved senior commanders, including the Chief of Army, Major-General Goh Si Hou, Chief of Air Force, Major-General Mervyn Tan, and Chief of Navy, Rear-Admiral Lew Chuen Hong. During the meeting, LG Ong talked about plans to strengthen the SAF's safety system to make training safer for all servicemen, including requiring all units to do a comprehensive review of their training programmes to reduce training risk. CFC (NS) Pang, an armament technician in the 268th Battalion, Singapore Artillery, suffered injuries in the chest and abdomen area when the gun barrel of a Singapore Self-Propelled Howitzer was lowered during repair work on the weapon in an exercise in New Zealand. He was crushed between the gun barrel of the howitzer and its cabin. LG Ong also said the reduction in training tempo will free up capacity as well for units to give more time to prepare for, execute and learn from each training activity. 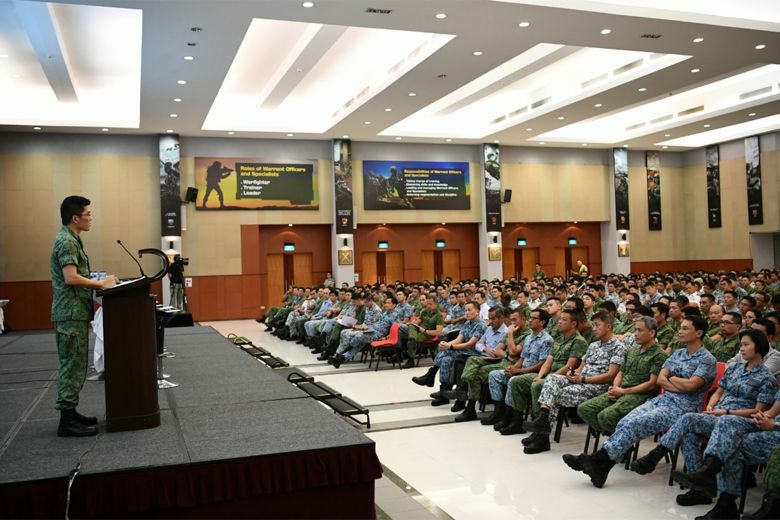 The Chief of Defence Force and service chiefs, with commanders at all levels, will visit the ground more often to ensure that SAF training is safe, Mindef added in its statement.